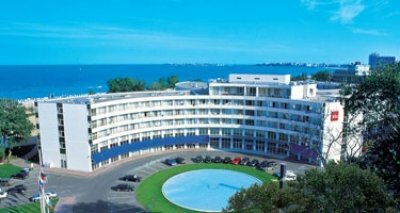 Location: Hotel RIU HELIOS is situated on the beachfront, just 300 m from the centre of Sunny Beach. Accommodation: The hotel offers 362 guestrooms. All rooms have Shower room with w.c, Hairdryer, Telephone, Central air conditioning/heating (according to season), Carpeted floor, Satellite TV, Sofa bed or chair bed, Mini-fridge, In-room safe (additional charge). 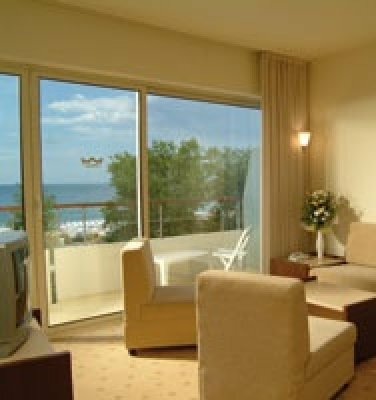 Most rooms with balcony and Rooms with sea views available. There are also family rooms which are with separate living room with sofa bed and extra WC. 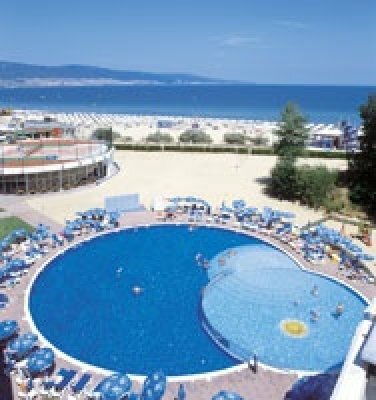 Restaurant, swimming pools, gym, table tennis, workout, water polo, volleyball, artificial turf tennis court. the hotel is on the end of the resort ideal for disabled and older people as its all on the flat the food is the same every day.the front of the hotel is facing the main road and has non stop traffic day and night so stay in the back the rooms are clean and in good deco sunny beach centre is a bit like blackpool on steroids but cheep. hotel was clean and lovely. Hotel was brilliant, beach straight over the road and excellent food. Staff are unbelievably friendly and beautiful views. Ultimate must do's: Human Catapult(can't miss them they're all the way down the beach) only 15lev(£6) photo's with snakes, visit Sozopol and take the Off Road Adventure. And try the Chicken Kebap's and crepes they are absolutely delicious! Great Holiday unfortunately we got ran for about a week but strangely no complaints here. Fantastic staff, fantastic food, overall a fantastic holiday with not one fault. Thankyou all at helios for a fantastic holiday.